Our Coldspring-Oakhurst High School TX-20066 AFJROTC cadets have had a busy spring so far. 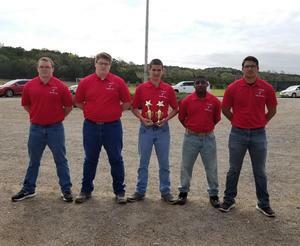 They've traveled to Livingston and to Kerrville for contests, bringing home first through fourth-place wins at the Livingston Military Science Drill on March 21st. 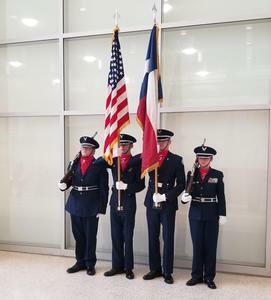 The Color Guard presented the Colors at the Houston Rockets game on Friday, March 22. Our Coldspring-Oakhurst High School TX-20066 AFJROTC cadets have had a busy spring so far. Cadets traveled to Livingston High School on Thursday, March 21st, for the LHS Military Science Drill Meet, the first drill meet Livingston has hosted in over eight years. Our cadets took first place in Tug-O-War, second place in the Academic Bowl, third place in the Ruck Challenge, and fourth place in the Cadet Challenge. 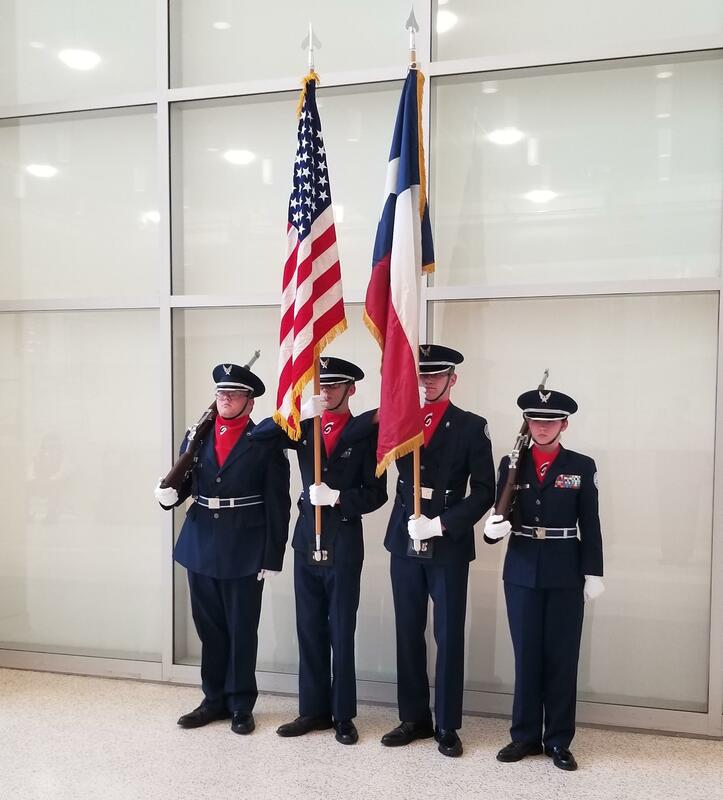 The COHS AFJROTC Color Guard presented the Colors at the Houston Rockets Game on Friday, March 22. On Friday, March 29th, cadets headed to Kerrville to compete in the Tivy High School AFJROTC Antler Classic Rocketry and Quadcopter Competition. With more events scheduled over the upcoming months, we'll keep you posted with photos as they become available.